Enjoy a review of some of the benefits of hardwood flooring. No other flooring can suit any decor, in any room, like the abundance of styles, grains and colors of hardwood flooring. And when it’s time to remodel, hardwood floors can be stained to match your new look! Hardwood floors never go out of style. They look beautiful with every style, theme and color of decor. Hardwood floors have a natural warmth and beauty that cannot be manufactured. Scratches, stains and other wear and tear on any flooring is quite noticeable and unattractive. These same “flaws” add character and charm to hardwood floors. One of the benefits of hardwood flooring that is most unique and attractive is it’s organic health properties. It is a natural resource that is both renewable and recyclable, eco-friendly and environmentally safe. 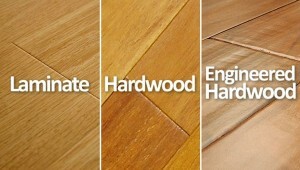 Hardwood flooring does not confine dust, dirt, animal dander or allergens. In fact, allergists recommend hardwood floors to their patients with allergies, asthma and similar conditions. They are a natural insulator, providing high insulation properties as well as adding structural strength to a home’s construction. Hardwood flooring has much lower levels of chemical emissions and vastly improves indoor air quality over other flooring materials. They are a natural “green” material. Environmentally, they can’t be outdone as compared to other flooring types. Hardwood flooring is extremely durable, long lasting, and can be fully restored to fresh “new” grandeur. They last for generations. Hardwood floors are one of the highest cost per square foot flooring options – but – they are the only flooring material that can be fully restored, to last for generations. They are the most economical choice over the long term. They can be restored to look like new with a buff and coat or a sand and refinish. In certain situations, they can be patched instead of having to live with the damage or be replaced. Maintenance is a cinch. No carpet shampoos or shampooers, stain guard or stain removers, or other specialty products or tools; no caulking, scrubbing or waxing. Hardwood floors are a long-term investment that will hold their value, and increase the resale value or your home. Installing or refurbishing hardwood floors is a common strategy for increasing the return on investment AND the show quality in the real estate industry – and has been for many, many years. Next to carpet, hardwood flooring is a safer option as compared to laminates and other materials that are overly slick and slippery. Next to carpet, hardwood floors have the best acoustics because they must be installed over a sub-floor. They are much quieter than other flooring materials. Though other flooring materials have challenged hardwood floors in the marketplace, it’s only been temporary. In fact, vintage hardwood floors emerged way back in the middle ages and some of those 800+ year old floors are still around today. In the mid-1950s, the Federal Housing Administration (FHA) approved new construction standards to boost the housing market. It was then that wall to wall carpeting, an inexpensive flooring alternative, became the norm in apartments and single family homes. Since the 1960s, there has been some form of engineered wood flooring, but it suffered greatly in quality and has only recently become popular world-wide as standards have improved. Even so, solid hardwood floors are still the most popular flooring choice in North America. Laminate was introduced in the European market as a flooring alternative in the 1980s due to its performance in durability, design, and ease of installation. It originated as a kitchen countertop material and was developed to more than 20 times its strength to be used for floors. It was introduced in North America in the early 1990s and has become quite popular. 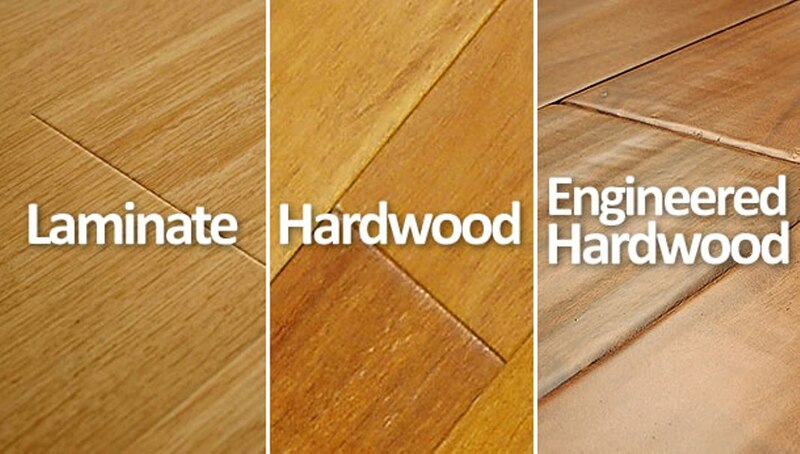 Despite so many choices, hardwood flooring is considered the “upgrade” to other flooring types and styles. 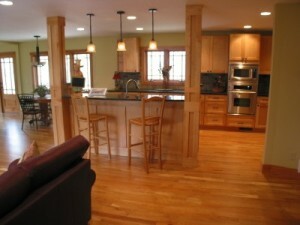 Studies have shown, time and time again, that once a homeowner experiences solid hardwood floors, they rarely go back. The benefits of hardwood flooring are numerous, but in the end, it comes down to your personal preference.